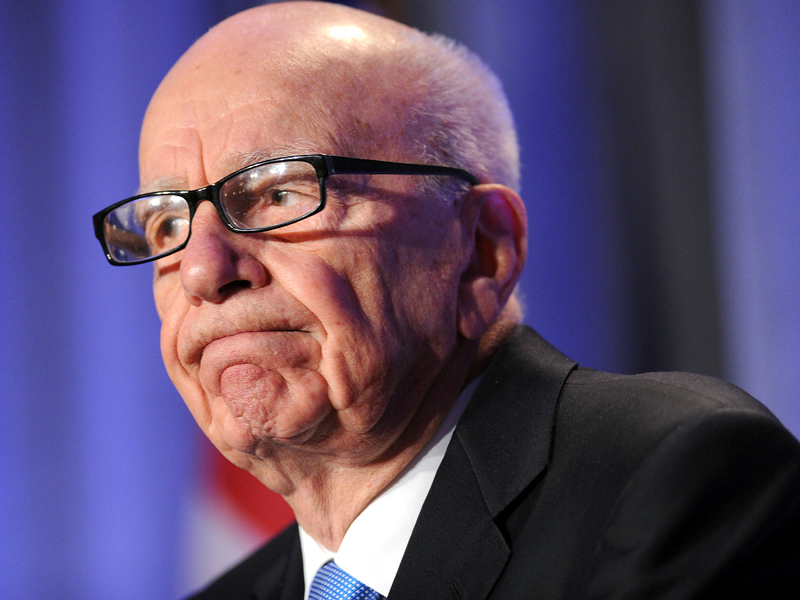 COMMENTARY It's been a busy social network week for News Corp (NWS) CEO and chairman Rupert Murdoch. First, he joined Twitter. Then he piled up the controversy by tweeting, "Maybe Brits have too many holidays for broke country!" And then he deleted that tweet. However, even as Murdoch tried to catch up to the 21st century, the century caught up with him. News Corp-backed music downloading service Beyond Oblivion just shut down -- even before it had a finished product, though the company still had enough time to chew up $87 million in investor money. It's not surprising and shows a problem that many established companies have in dealing with new technology: Executive visions of the future need major corrective lenses. -- A target price of $50 to $70 would have been added to a phone by the device manufacturer. That would have added an enormous burden of additional cost and made phones uncompetitive. Consumers don't think, "But I get this much extra in services." They say, "It's more expensive. Forget that." -- The plan required music labels to be satisfied with a $25 to $35 per person per year (figuring two-year lifespan on phones) for unlimited downloads. That would have devalued the music and left the labels subsidizing everyone else's profits, which is something the labels would never go for. The second point should have been painfully obvious, given the steps News Corp has taken to try and make money off its own content. No one wants to give it away. But then, this is a company that bought MySpace at a ridiculously high price even when the audience was rapidly dwindling. How can a company go so wrong? Easily. The trick is for the CEO to decide on a strategic path that has everything to do with what he or she would like to be true and little with reality. Murdoch has wanted to get into new media because it was a logical extension of what News Corp already did. But in placing his bets, he has focused on what he'd like to be true. In the case of MySpace, it was that his people could reverse the fortune of a dying Internet company (and, as PR person Phillip Dyte had once suggested to me, once an online brand starts deteriorating, it seems almost impossible for it to turn around). With Beyond Oblivion, it was making money as a middleman off someone else's content in what the rights holder would see as a bad deal. CEOs don't have to be as steeped in a hidebound industry as Murdoch is with newspapers to make the same sort of mistake. Microsoft (MSFT) has done it plenty of times (the Zune, Microsoft Money, and the long-standing mobile strategy, to mention just a few examples). Google (GOOG) did the same in social networks with Buzz and in collaboration with Wave. It's as though executives in large corporations assume that they will win because of their companies' size and name recognition. But that is nothing more than donning blinders. A new business line only has a chance when those in charge are willing to address the actual challenges and opportunities.